Today marks the release of Action Comics 1000, celebrating 80 years of Superman. I’ve always loved Superman. He’s always been my favorite hero, and it’s easy to see why. He’s invulnerable. He has a host of powers, many of which pop up when he needs them the most. His costume is pretty simple… any kid can replicate it by tying a blanket or towel around their neck. In bring this up because it’s an iconic moment that encompasses what it is I love about Superman, the character. He’s a hero that didn’t get his power from a radioactive spider bite, or a magic ring, or because he’s struck by lightning, or because his writers were lazy and decided it was because of his DNA. He’s gifted his powers in a different way: because he’s an outsider. His powers are a constant reminder that despite the fact that he lives with us, despite the fact that he was raised on Earth, he’s an outsider. And he could choose to do just about anything with that power, but what he chooses to do is to help people. Not for reward… he actually has a job that he tries to do well… but he does it because that’s who he is. Looking again to the legacy of Superman in pop culture, here’s a very famous scene in Kill Bill in which Bill tells us a very cynical take on Superman. One that I ascribed to for a little while, but I’ve thought about a lot over the past couple of years. Bill claims that Superman is the real character, and Clark Kent is his disguise. I agree with that statement, but he goes further into claiming that Clark Kent is weak, frail… what Superman thinks people are like. See, that’s where I disagree, and where I think Superman and Clark Kent represent more. Is Clark Kent that weak? He’s still got a job – an important one – as a journalist. Clark Kent could have been a star athlete. He could have been a scientist. Hell, he could have been the best pizza delivery man in the world, getting pizzas out in five minutes all over the world. But instead he chose to be a journalist, writing news stories, trying to help the public the best way he could in both roles, but as a human and as a near-god. That’s the appeal of Superman, to me. It’s an appeal to be our best selves at all times. Things are going to be dark, things are going to be tough… but we can’t give up. Superman is that ideal. He was created in the 1930’s by two Jewish Men. If you don’t know what was going on in the 1930’s, you might want to spend a few minutes on Google… it was not exactly a great time. 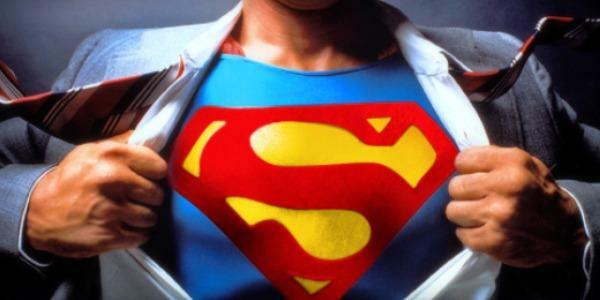 But out of this darkness came Superman… protector of Truth, Justice, and the American Way. He fought Nazi’s. He fought for the American Idea that we all belong here, and that we all should learn to love each other. And yes, he sacrificed his home world and chose to protect us by killing General Zod, both in the 1986 comic book by John Byrne and later in the Man of Steel movie by Zack Snyder. I think sometimes we lose that. We forget to be our best selves. We get wrapped up in the terrible things happening. Yes, things are bad but I think lately, we’ve defaulted to the idea that the only way we can counter the bad is by being worse. This reminds me of a Superman Comic called “What’s So Funny About Truth, Justice, and the American Way” in which Superman fights a new Superhero team called “The Elite.” The Elite is a gritty group of heroes that run around killing people, showing Superman that he’s “outdated.” The end it appears that Superman joins their ideas, killing them one by one until only the team Leader, Manchester Black, is standing. But it turns out he was in control, merely neutralizing them. The reveal that he didn’t kill them is one of my favorite Superman Moments. He didn’t give up his ideals. And I don’t think we can either.